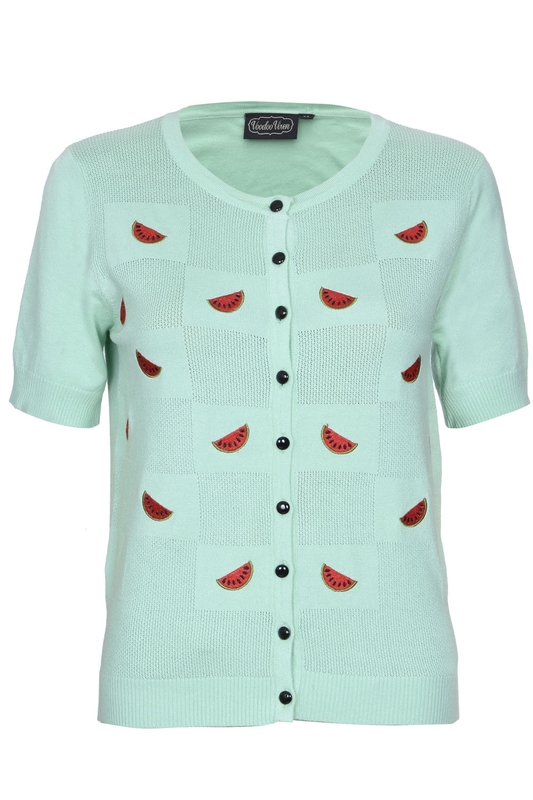 One in a melon, this fruity fun cardigan is littered with bright red embroidery melons, let Elaina sweeten up your wardrobe! Love the look? 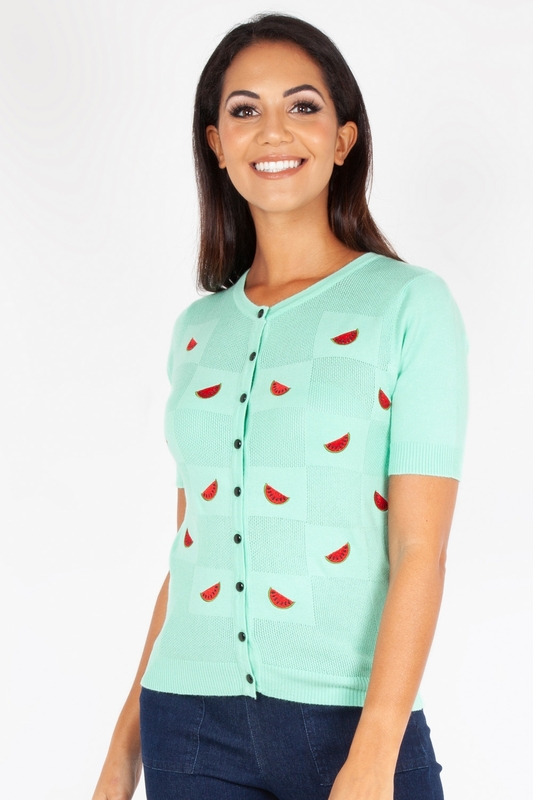 Check out the Elaina Watermelon Black Cardigan!